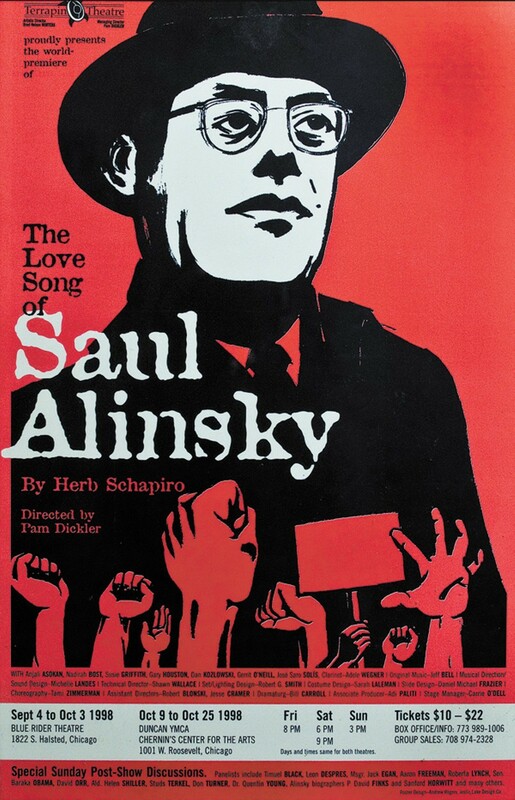 "The Love Song of Saul Alinsky"
In his column this week, headlined "Saul Alinsky, poster child," Michael Miner writes about how the right just loves to link Barack Obama to community organizer Saul Alinsky. The link in particular here is Obama's participation in a panel discussion at a 1998 performance of the play The Love Song of Saul Alinsky, staged by the Blue Rider Theatre in Pilsen. Which got me wondering: was the play any good? Read Adam Langer's September 10, 1998, Reader review here.